This is a good “summer time” story to read with a slice of blueberry pie! I liked all the bits of information about having a blind dog, but the best part of this story was the friendship between the girls. 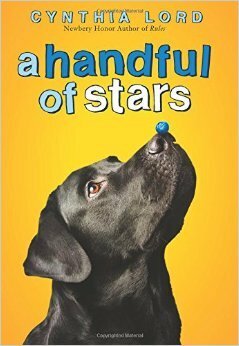 I really loved this story about friendships and how to be friends with more than one person at a time. I learned right along with Tigerlily as she found out more about Salma’s culture and background. The story and characters felt very natural and authentic, and reminded me of some of the feelings I had when I was around 10 or 11. I definitely recommend this one! As a writer, I want to read this book again to study the pacing of the story, the natural way details are embedded in the story and the dialogue between the characters. I think I might just have to buy it to keep on my own shelf. Cynthia Lord lives in Maine. She wrote the Newbery Honor book, Rules. 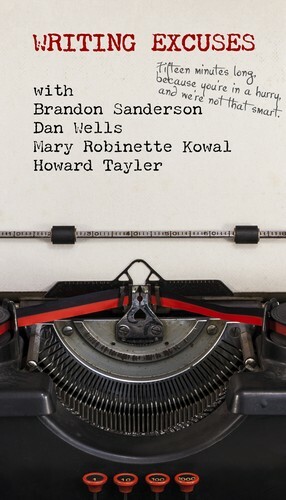 She also writes the Shelter Pet Squad series and the Hot Rod Hamster series. 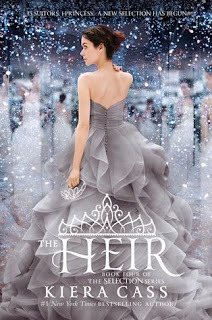 You can find more Marvelous Middle Grade Monday books by checking out author Shannon Messenger’s blog! Shannon is the founder of Marvelous Middle Grade Monday and the author of the middle grade series, Keeper of the Lost Cities. I've seen this book featured a few times on other blogs, so I decided I had to read it for myself. I'm really glad I did! 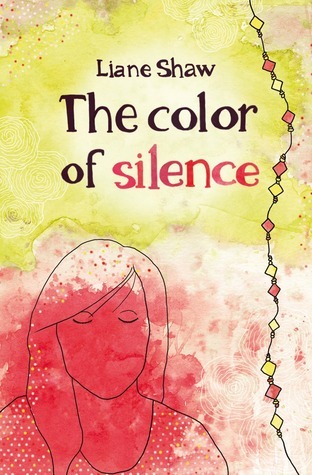 This would be a great addition to a classroom or school library collection. A spritely read-aloud about the challenges—and joys—of collaboration. Fastidious Mouse has one idea about how to tell a story. Free-spirited Frog has another. What happens when Frog crashes into Mouse's story with some wild ideas? Chaos!...followed by the discovery that working together means being willing to compromise—and that listening to one another can lead to the most beautiful stories of all. In her best book yet, the visionary creator of Blue Chicken and The Story of Fish and Snail has crafted another subtle, clever book-about-books that's also a delightfully entertaining story featuring adorable characters who will win readers' hearts. 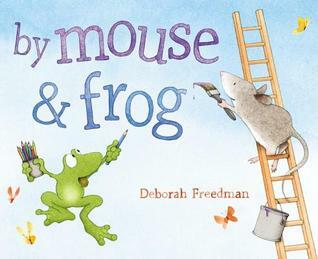 By Mouse and Frog by Deborah Freedman was published by Viking, an imprint of Penguin Group, in 2015. This is a good picture book for studying characterization. The personalities of Frog and Mouse are so clear, right from the beginning. I liked how the illustrator played with the “real” and “imagined” to create images that are lively and full of fun. I am going to read this book to my kindergarten students to show them about cooperation! I really liked the subtle way Frog changes and starts asking Mouse about what they should do. A great discussion point for students. With all the gardening I've been doing lately, this one seemed appropriate! I borrowed it from my local public library. 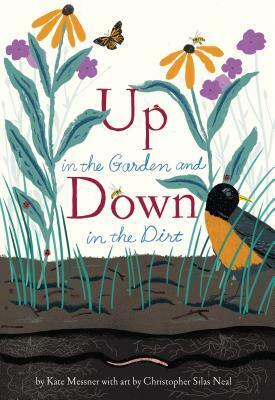 Up in the Garden and Down in the Dirt by Kate Messner and Christopher Silas Neal was published by Chronicle Books in 2015. I really admired the rhythm of the opening line: “Up in the garden, I stand and plan—my hands full of seeds and my head full of dreams.” The language and imagery makes this book appealing. The pattern of above ground and then below ground keeps the story moving forward. I liked how the illustrator used the full page, going right past the edges, seeming to show that the images are only a snapshot of a much larger world, both below and above. This book will capture the interest of young primary students who are curious about the world around and below them. I liked how underground and above ground life is given equal time and importance. The back matter provides lots of extra material for discussion or to explore with interested students. -compare life above with life below – how is it different? how is it the same? For another take on this book and more activities, visit Ms. Meghan Makes. I’ve been doing a lot more driving lately, and I find that’s the best time for listening to my favorite podcasts. I also like to listen while I’m doing boring household chores and sometimes, while I’m walking one of the dogs (though sometimes I've been listening to the sounds around me, after watching Pico lyer). Just click on the heading to go to the link. 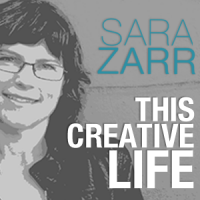 I always enjoy Sara Zarr’s interesting conversations with people who do creative work. 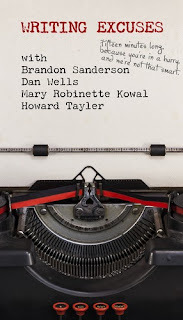 This one will be especially interesting for writers who are trying to get an agent or are curious about what it might be like to work with an agent. 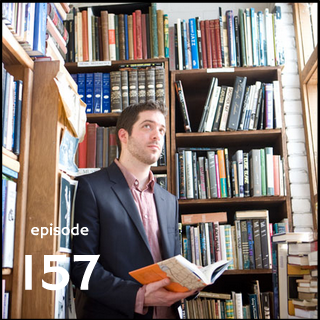 Michael also talks about his perspective on what's ahead in publishing. This interview makes the process of writing and illustrating a picture book sound like so much fun! 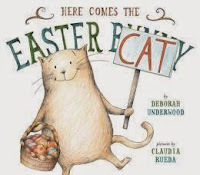 I recently read her book, Here Comes the Easter Cat, and it was so interesting to find out more about the process for creating the Cat series. If you don’t want to listen to this as a podcast, the transcript is also available. I was introduced to this Ted Talk by @MetroMorning and it’s definitely worth watching or even just listening to if you engage in any kind of creative endeavour. It gave me a lot to think about.